Search by ISBN, Title, Author and more. The searched item is not available, Please try again. This information is temporarily unavailable. Are you a School or School District? Are you a Trade Wholesaler, Retailer, Library or College? Title Search:Use only unique words from the title to obtain the best results. Filter:Search for products using the search field and then filter the search results using the filters listed on the left pane. Filter Removal:Remove filters by clicking the filter breadcrumb icon. Sellable Products:Only sellable products are listed in the search results by default. Searching by ISBN will return that product regardless of status. Common Core:Use the Common Core filter on the left pane after the search results appear or type Common Core in the search text box to locate Common Core products. Asterisk (*):Type * in the search text box to display all products. See Pricing for Your Account:Click the View More hyperlink below a product listed in the search results and enter your Account Number in the Pricing section to get Pricing for the account entered. Title Search: Use only unique words from the title to obtain the best results. Filter: Search for products using the Search field and then filter the search results using the filters listed on the left pane. Searching by ISBN will return the results regardless of filters. Filter Removal: Remove filters by clicking the Filter Breadcrumb icon. English and Non-Digital Products: Only English and non-Digital products are listed in the search results by default. Uncheck to remove the filter. Searching by ISBN will return the results regardless of filters. 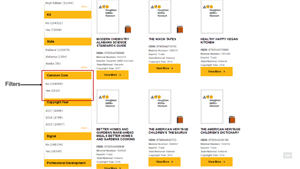 Common Core:Use the Common Core filter on the left pane after the Search Results appear or type Common Core in the Search box to locate Common Core products. Asterisk (*):Type an * in the Search box to display all products. Additional Details of the Product:Click the View More hyperlink below a product listed in the Search Results to get additional details for the chosen product. 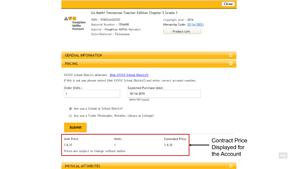 You can create and submit a Shopping Cart using the Houghton Mifflin Harcourt Storefront web site. The Storefront application is accessible through a link from your Procurement system. Houghton Mifflin Harcourt Sales Representative. By searching for authorized product with PRODUCT LOOK-UP and Quick Cart. If you require any assistance while using Storefront, select the Contact Us link on the top right corner of the screen. Step 1. 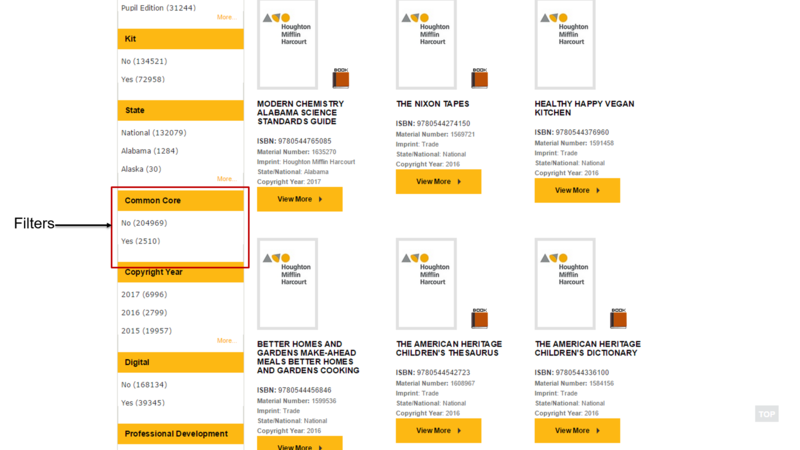 On the Houghton Mifflin Harcourt Storefront home page, click the Create Shopping Cart link. The Create Shopping Cart page is displayed. You will need a Cost Proposal number to use this method to add product to your Shopping Cart. If you require a Cost Proposal select the Contact Us link on the top-right corner of the screen to view contact information. If you have a Cost Proposal document use the help to find your document number. Click the Click here link to access the help page. 1. Enter the Cost Proposal number. 2. Click the button. The Cost Proposal name is displayed. Note: If you receive an error message select the contact us link for assistance. 3. If you want to add the Cost Proposal to your Shopping Cart, click the Add to Cart button. Otherwise, click the Cancel button. 4. When you click the Add to Cart button, the Cost Proposal is added to your Shopping Cart. Note: You may only add one Cost Proposal to your Shopping Cart and you cannot make any changes to the Cost Proposal once it is added to your Shopping Cart. 5. If you don't want to purchase the product in the Cost Proposal select the Clear Cart and Start Over button. If you navigate back to the Create Shopping Cart page after adding a Cost Proposal to your Shopping Cart no options will be available. 1. Enter a search word in the PRODUCT LOOK-UP field. 2. Click the button. The PRODUCT LOOK-UP page is displayed. 3. 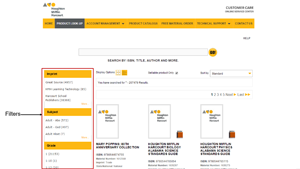 Use the Select PRODUCT LOOK_UP HELP for assistance with using searching the products for your Shopping Cart. A pop-up box shows you the number of items added to the cart and the total price of the selected products. 5. After adding the product, click the View Cart button. 6. Your Shopping Cart page is displayed with the products. You can modify the quantity in the Cart and delete products by selecting the check box in the Remove column. Once modified, click the Update Cart button to update the product details in the Cart. Clear Cart and Start Over button. To return to PRODUCT LOOK-UP click the Continue Shopping button. Note: When you use PRODUCT LOOK-UP to create your Shopping Cart, the remaining two options are disabled. In order to use the other options, either complete creating your Shopping Cart order or clear the Cart and start creating your Shopping Cart. 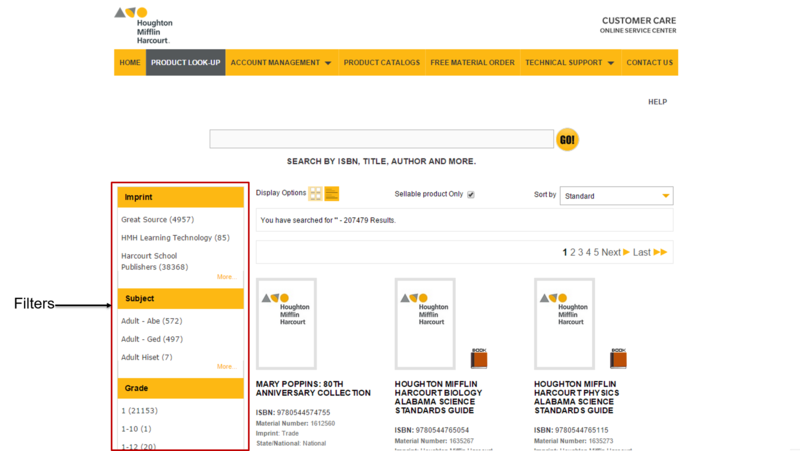 If you know the ISBN or Catalog code for the products, then you can add the products directly to the Shopping Cart using the Quick Cart feature. 1. Click the View Cart button from the Create Shopping Cart or PRODUCT LOOK-UP page to access the Quick Cart feature. The Quick Cart page is displayed. 2. 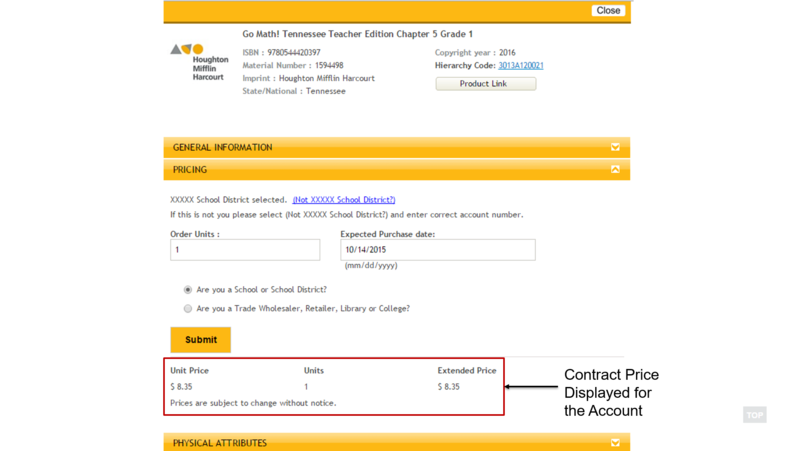 Enter the ISBN, ISBN10, or Catalog Code and Quantity and click the Add to Cart button. After adding products to your Shopping Cart, click the Submit Order and Checkout button to submit the Shopping Cart to your procurement system. Note: Houghton Mifflin Harcourt will not be able to provide order status information until approved and submitted from your procurement system. Monitor the progress of your orders and track your order after it ships. Click the Order Tracking link to access the Order Tracking webpage. To get help on how to use order tracking, click the Help link. Click the Contact Us link if you have questions or need assistance placing your Storefront order. Attached please find the Kit component listing you requested. Visit our Customer Care website. <http://customercare.hmhco.com> Please do not reply to this message.